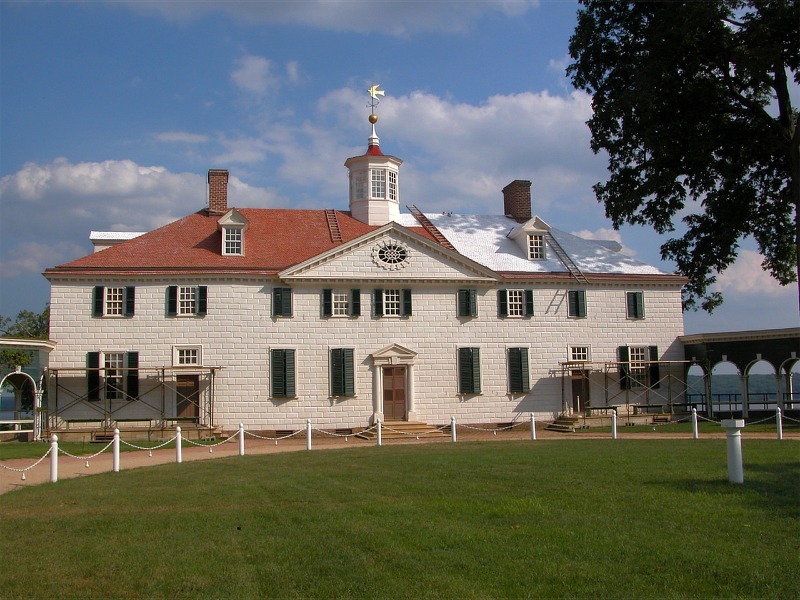 click photo to enlarge Mount Vernon Estate and Gardens was the home of George Washington. 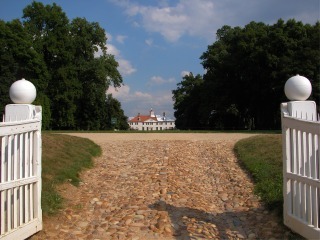 This photo is taken from the gate at the front entrance. But the drive does not go straight to the house it goes around the trees planted on each side. 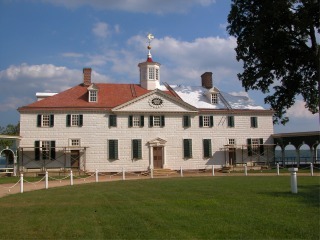 click photo to enlarge This was George and Martha Washington's home from their marriage in 1759 until he died in 1799. You can tour the mansion and over a dozen other buildings. 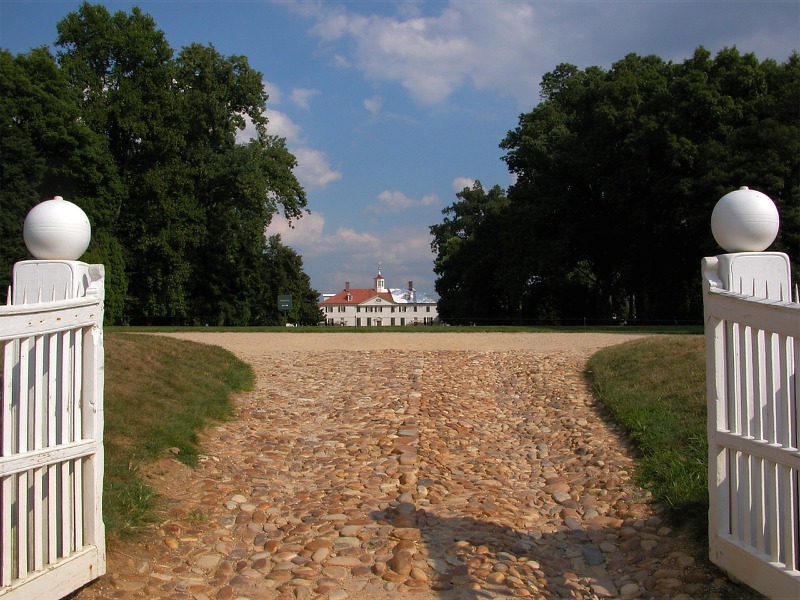 The tours of the mansion are guided so you get a little history along with the tour. click photo to enlarge The large building here is the greenhouse and the wing coming out to the left was the slaves quarters. 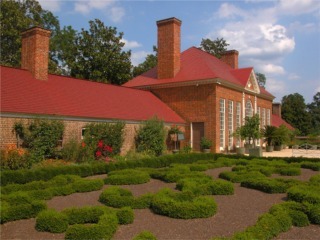 The shrubbery in the picture here is in the shape of the Fleur de Leigh. You can't tell it in the photo so you'll have to go see it or take my word for it. 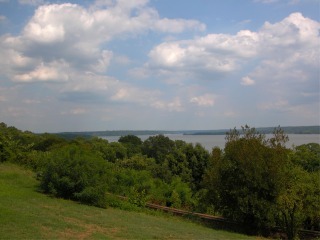 click photo to enlarge This is a view of the Potomac river taken from the piazza on the back of the mansion. The grounds have a working grist mill, Washington's tomb, museum, forest trail, wharf and other areas to explore. click photo to enlarge This was called a necessary, or an outhouse. 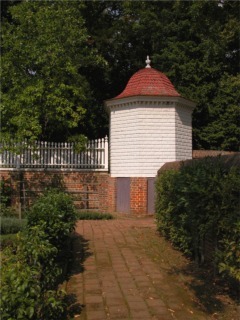 The access doors were used to clean out the deposits which Washington experimented using as fertilizer. That practice was soon abandoned when it didn't work well.